Maruti Suzuki seems to be on a launch spree in recent times, as the Indo Japanese automaker has been introducing several exciting cars one after another in the Indian market. Earlier this year, the Vitara Brezza made quite some ripples in the domestic market, and now the company has launched a urban compact hatchback called Ignis. The car was already showcased at the 2016 New Delhi Auto Expo, and received quite a positive response from the visitors. Mahindra launched the KUV100 earlier last year and garnered quite some attention. It offers the customers a chance to experience the SUV characteristics at an affordable pricing. No wonder, the new age customers want value for money, and cars which cater their needs keeping pace with the modern mobility demands. Both the Maruti Suzuki Ignis and the Mahindra KUV100 have been designed focusing the needs of the new age customers with supple driving characteristics. 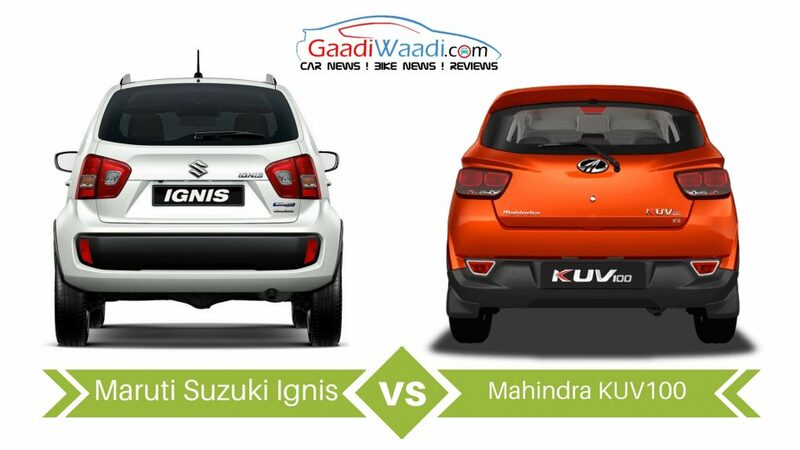 Here we will take a look at the spec sheet based comparison between the Maruti Suzuki Ignis and the Mahindra KUV100. The Maruti Suzuki Ignis comes with an unique design, which looks compact, stylish and sporty, and it looks very much capable to impress the urban new age customers. The front fascia of the car sports a stylish radiator grille which comes blended with the headlamps in such way, that they look like one single unit. The projector headlamps come complemented by U shaped LED daytime running lights; while the front grille features chrome garnishing. The front bumper looks beefy with chrome embellished fog lamps and air intakes, while the clamshell bonnet also delivers a muscular vibe. The Mahindra KUV100 on the other hand, looks cute and appealing with its very compact and sporty guise. It even became the best selling Mahindra SUV few months back, leaving back the Bolero. Compared to the Maruti Suzuki Ignis, it looks much more aggressive with the sleek front grille running between the spectacles like headlamp clusters featuring projector headlamps and LED daytime running lights. The radiator grille comes sporting chrome finished teeth like appearance, while the front bumper gets a beefy look. It sports wide air intake with black insert and the unique shaped fog lamps come with chrome trims. It also sports a silver skid plate, which emphasizes the tough SUV characteristic of the car. The side profile of the Maruti Suzuki Ignis features turn indicator integrated ORVMs, blackened out A and B pillars, flared wheel arches, 18 inch multi-spoke sporty looking alloy wheels, chrome finished door handles. The rear profile comes incorporated with wrap around taillights, rear windscreen wiper and the rear bumper gets a black insert. At the side profile the Mahindra KUV100 features a truly stylish and appealing look, with the sharp character lines, a bit squarish wheel arches, multi-spoke spyder design 15 inch alloy wheels, side body cladding, blackened glass area sporty roof rail and the chrome finished rear passenger door knob mounted on the thick C pillar. We have seen this type of C pillar mounted door handle in the Chevrolet Beat and the upcoming Maruti Suzuki swift will also feature the same door handle. The rear profile of the car also has been designed keeping the sportiness in focus, as it bears the roof spoiler, wrap around taillights, and black bumper. Dimensionally, the Maruti Suzuki Ignis measures 3,700 mm in length, 1,660 mm of width, 1,595 mm in height and a wheelbase of 2,438 mm. While on the other hand the Mahindra KUV100 measures 3,675 mm in length, 1,715 mm in width, 1,655 mm in height, and 2,385 mm of wheelbase. It also comes with a ground clearance of 170 mm and 243 litres of boot space, which can be expanded up to 473 litres. Maruti Suzuki Ignis comes featuring a nice and stylish interior, which sports an upmarket look with sportiness. The multi-function three spoke steering wheel is complemented by a stylish instrument cluster sporting a large dial. The centre console comes with a tab like touchscreen infotainment system, while below there is a music system flanked by several buttons. The dual tone dashboard and interior theme also gets contrasting body colour trims. It also offers sufficient space inside the cabin. 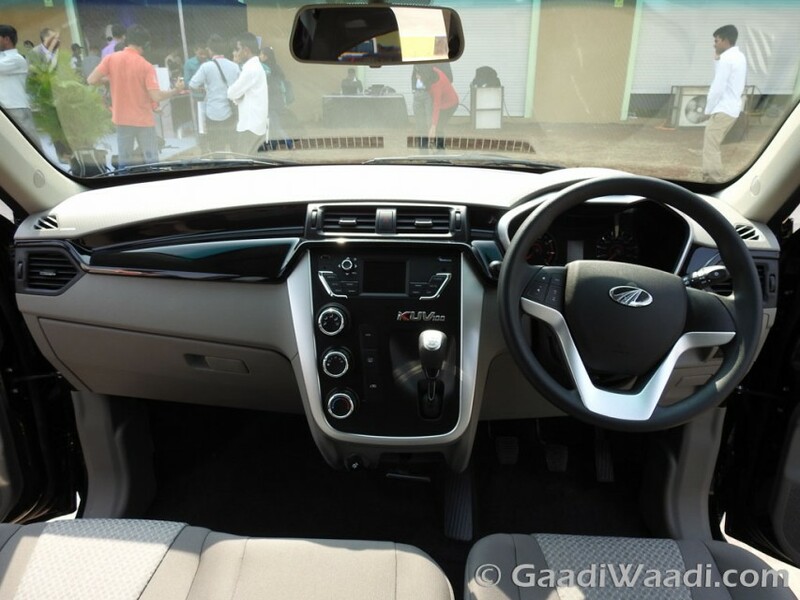 The Mahindra KUV100 on the other hand sports a multifunction steering wheel, dual analog and a digital MID consisting instrument cluster, glossy black trims at the dashboard. The centre is surely one thing, which grabs attention with the unique design and space management trick. The centre console gets a small digital screen flanked with control buttons and knobs, while the gear lever is also positioned at the center console. 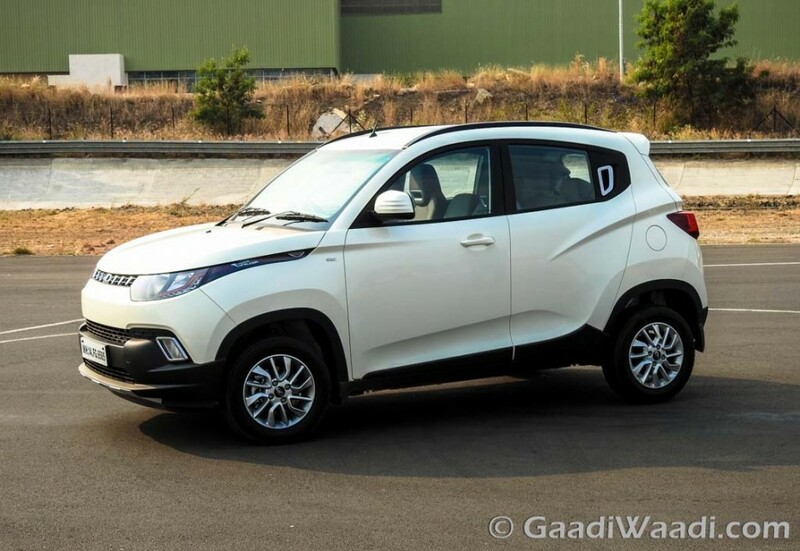 Mahindra has done a very clever job by providing the front arm rest, which can be folded to make provision for a third occupant at the front of the car. This way the car not only saves space, but also comes with an extra person carrying capability. The 243 litres of boot space is quite sufficient, and it can be expanded up to 473 litres. 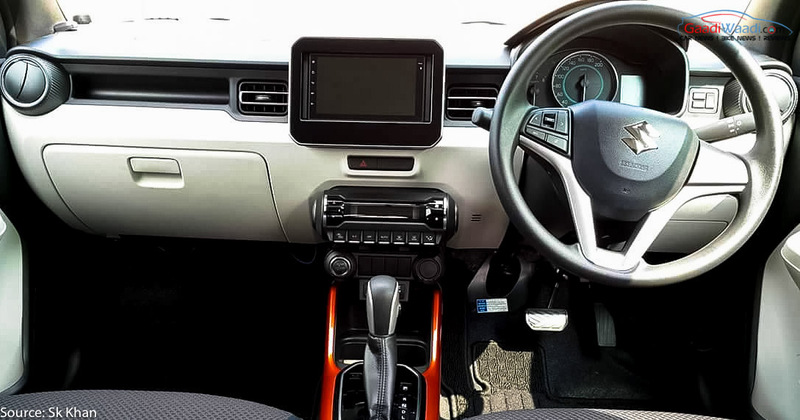 The car offers decent space, thanks to 2,385 mm of wheelbase, while the features include power steering with tilt function, gearshift indicator, height adjustable driver seat, rear arm rest, electrically adjustable wing mirrors, cooled glove box etc. The sub-4m Ignis Premium urban compact car powered by the four-valves-per-head, inline, four-cylinder, DOHC petrol power unit which has a displacement of 1197 cc. 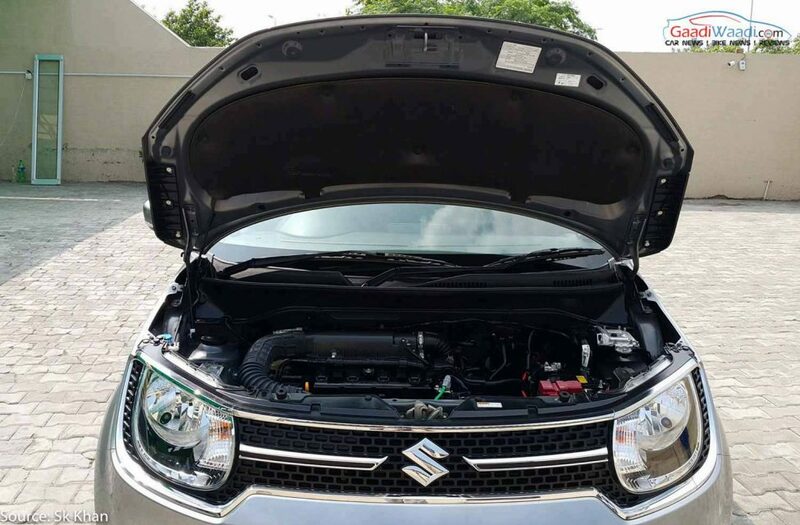 The VVT, K-series petrol engine, also found under the engine bay of Swift, is capable of pushing out a maximum power output of 84 bhp at 6,000 rpm and 115 Nm of peak torque at 4,000 rpm and delivers a good ARAI certified mileage of 20.89 Kmpl. Maruti Suzuki Ignis to come with the 1.3 diesel engine as well with 75 PS of power at 4,000 rpm and 190 Nm peak torque at as low as 2,000 rpm and comes with 5-speed manual transmission as standard while a five-speed AMT, similar to Dzire automatic, is also offered in the mid 2 variant. Considering the weight and length of the car and same engines as the Baleno, petrol delivers a good milage of 20.89 km/l and diesel motor delivers 26.80 km/l. Mahindra KUV100 on the other side is available in both petrol and diesel variants. The petrol variant draws power from an all new 1.2 litre G80 mFalcon VVT engine kicking out 82 bhp of peak power at 5,500 rpm and 114 Nm of peak torque at 3,500 rpm. The power source for the diesel variant is a 1.2 litre D75 turbocharged engine kicking out 77 bhp of peak power at 3,750 rpm and 190 Nm of peak torque at 1,750 rpm. On the mileage front, Ignis emerges slightly ahead. Maruti Suzuki Ignis is likely to be priced between Rs. 4.59 lakhs to Rs. 7.80 lakhs, which will certainly put this car at a very aggressive and competitive position. The Mahindra KUV100 too is priced very aggressively, as it bears price tags ranging between Rs. 4.42 lakhs to Rs. 6.76 lakhs. Ignis offers plenty of options for customers to choose from and of course an AMT that KUV doesn’t provide. 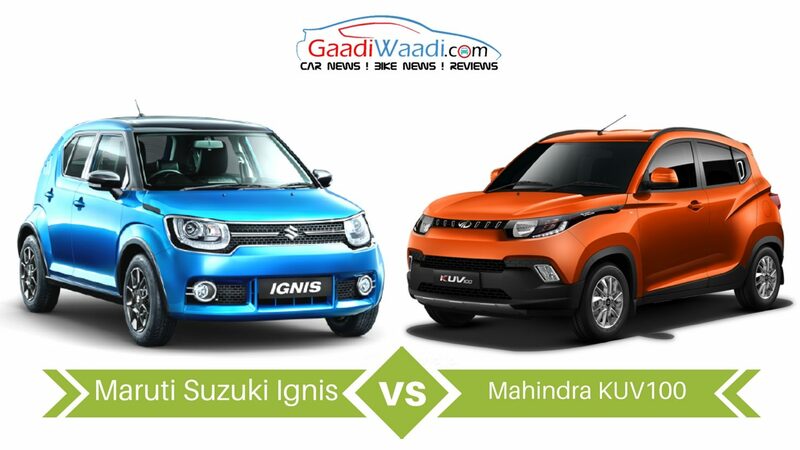 The battle between the Maruti Suzuki Ignis and Mahindra KUV100 will surely be a very interesting and exciting one. 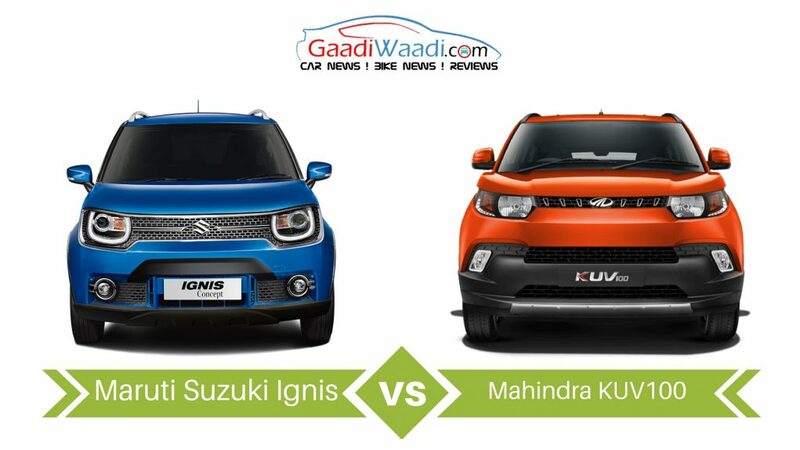 Both the cars come from two leading auto manufacturers, with the Maruti Suzuki being the most popular carmaker in the country, and the Mahindra KUV100 already a proven hit from the SUV maker of India. 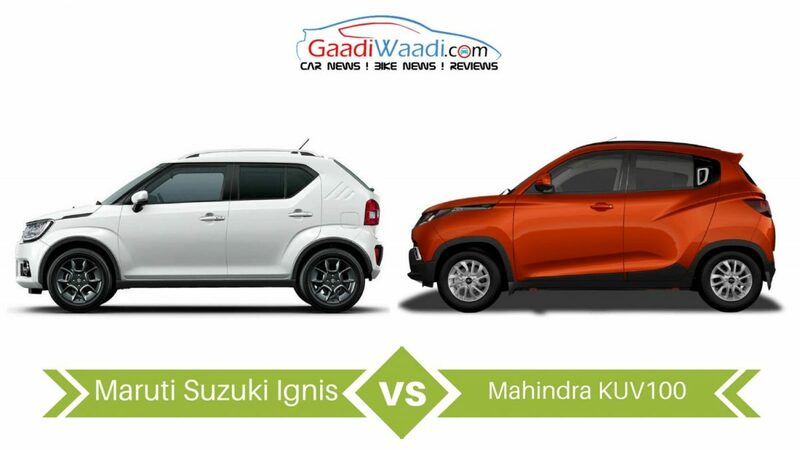 The Mahindra KUV100 has been proving to be a very popular car across the country, but the Ignis looks much better with its design and features compared to the KUV100. On the design and styling front eh Ignis grabs attention, while the ruggedness of KUV100 is also quite eye catching. In terms of features the Maruti Suzuki Ignis looks premium compared to its rival, as the urban compact hatchback comes with feature like touchscreen infotainment system. 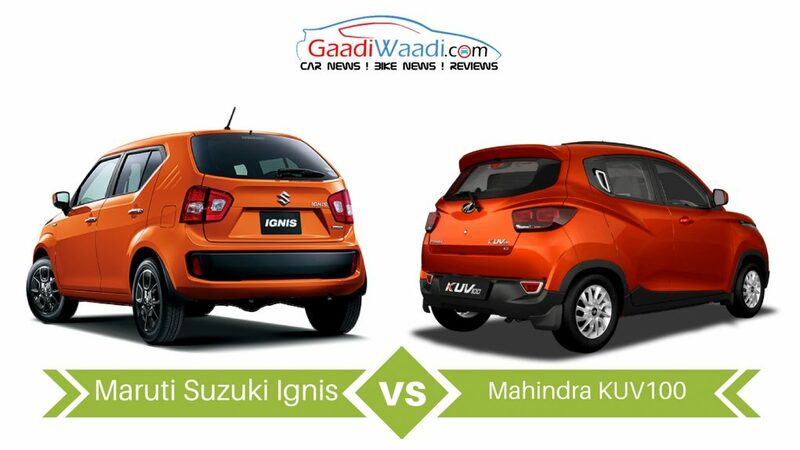 No wonder, customers always opt for the maximum from their vehicles; and the Ignis offers more than KUV100 does. On the power and performance front too, both the cars come with almost similar power and torque outputs. The pricing front is surely going to be the most important in the competition between these models and Ignis could emerge as the winner. While the lower trims of both the cars will come similarly priced, the top end trim of Ignis gets a higher price tag than its rival and it comes more feature stuffed.